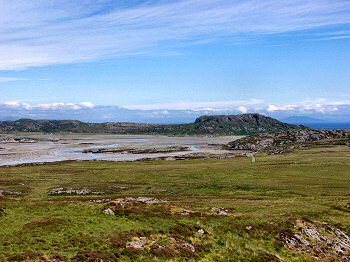 After the quite rainy weather the previous day our plans for this day were a bit risky: Taking the ferry to Colonsay and then walking over The Strand to Oronsay. If it had rained it would have been a quite miserable day, but we were in luck: The day turned out to be warm and sunny. 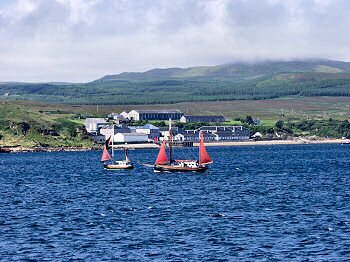 When we boarded the ferry in Port Askaig the sun started to break through and we had a very nice view of Bunnahabhain distillery while we were on the way through the Sound of Islay. 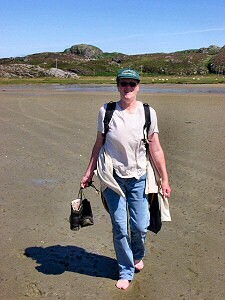 Soon we arrived in Colonsay and started to walk to The Strand. 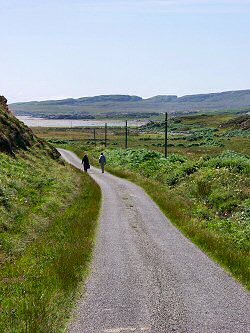 It probably took us about 30-45 minutes to arrive at The Strand, where we started to cross over to Oronsay. 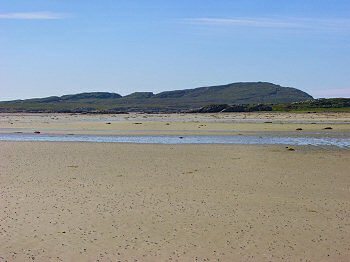 This beach falls dry for about two hours each side of low tide and allows walkers (and cars) to cross over to Oronsay. All too soon it was time to return to Colonsay and start making our way back to Scalasaig to catch the ferry back to Islay (not to forget that we had to make sure to cross The Strand before the tide came in again, we weren't keen on having to swim back or stay on Oronsay over night). 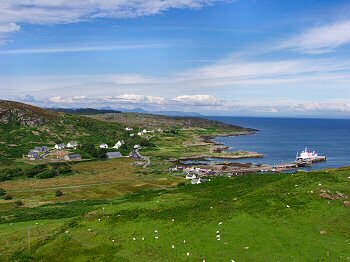 Luckily we had enough time for a detour up to the monument, from where we had a fantastic view over Colonsay and over the sea to Mull, Jura and Islay. 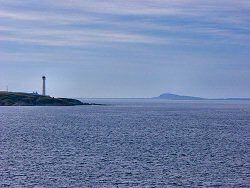 When we passed Rhuvaal lighthouse at the entrance to the Sound of Islay we could catch a last glimpse of Colonsay on the horizon. 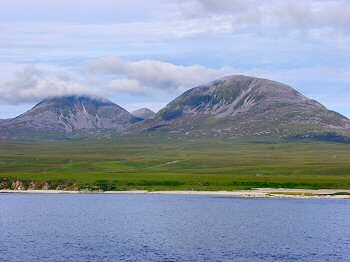 We were compensated by a very nice view of the Paps of Jura while travelling through the Sound of Islay before arriving back in Port Askaig.